We’ve focused on some various tips recently to help you rid your carpets of odors that may be left from pets, children, food spills, or even water leaks right here in Birmingham, AL. Here, at Heaven’s Best Carpet Cleaning, we want to provide you with the tools and information to help you understand maintenance of your carpets and other floor surfaces. We don’t want to rush out and insist on a professional cleaning, especially if you’ve just had your carpets cleaned. We are your family-friendly professional service that wants to help arm you with the right tools for taking care of minor issues and then call on us 1-2 times a year for your professional annual cleaning services. We’ve written a few articles recently on how to remove odors from your carpets. We’ve focused on baking soda and white vinegar in previous articles, but today we want to share a few other options if maybe you don’t have those products on hand. LemonThe acidity in lemon juice is more than enough to take care of unpleasant carpet odor. Mix some fresh lemon juice with a little water and apply it to the affected areas. Scrub the solution with a piece of cloth and rinse with soapy water. Make sure the carpet is completely dry after rinsing. Mild detergent Gently rub some mild detergent into your carpet and point a room fan directly at the affected area to help it dry quickly and thoroughly. Remember not to use too much water—it’ll soak into the carpet pad and create unpleasant odors of its own. Foam cleanersUse foam cleaners to deal with persistent or overwhelming carpet odors. Spray the cleaner evenly over the carpet and allow it to soak. Once it has dried and turned into a powder, use a vacuum to remove the residue. 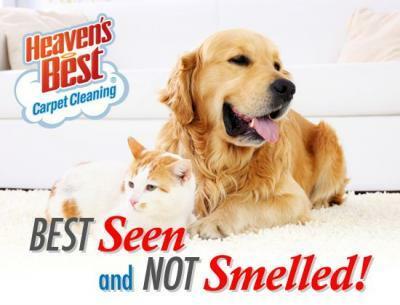 Once again, we’re here to help you at Heaven’s Best Carpet Cleaning in Birmingham, AL. If you are struggling with some removal of carpet odors and just want to let us take care of it, give us a call at 205-618-9150 and we’ll be more than happy to help. We’re here and the trusted name in Birmingham for your entire floor surface needs.